It is mandatory to calculate the tax amount for federal tax, tax refund and other tax deductions. IRS introduces tax calculator for calculating tax and tax filing. It eventually reduces your burden and proves easy for work. As per new policies of IRS, making work pay credit term for qualified person is incorporated into the tax calculator. In 2009, US government declared that the individuals who receive the amount of unemployment compensation are free from taxes. This statute has also been supported by tax calculator. There are discrete classes of Tax calculator as follows. The online tax calculator presents simple method of calculating federal and IRS tax of tax payers. Tax calculator features special tax return calculators for different tax payers based on their tax entity status. 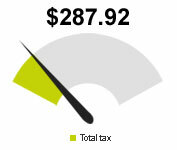 Tax calculator enables fast, simple and easy tax calculation. It helps the federal tax payers to look out their entity status with no effort instead of looking out the things and counting their tax amounts, decisions or exemptions. Instantly after filing your tax return, you can claim for your refund by way of Tax refund calculator. The Federal Tax Calculator computes the net income subject to the tax rate tables received from the recent IRS published federal tax tables. The Tax Calculator resembles a standard IRS tax form. Tax calculator lets the tax payers to scale in their actual or estimated income, dependent, deduction, and tax credit data. The tax payer need not enter sensitive information like name or Social Security Number. Tax payer need not be tax savvy to use this feature. The tax calculator doesn’t store any data and is not intended to manually file or electronically file tax returns with the Internal Revenue Service (IRS). Once the tax payer enters the tax e-filing status, income, deductions and credits, the total taxes will be estimated. Depending upon the tax payers’ projected withholdings for the year, the tax refund or amount they may owe the Internal Revenue Service (IRS) for next April can be calculated. About Us: Easily efile IRS Tax Form 2290 online. Secure online filing of IRS Tax Form 2290 … only at Tax2290.com. Tax2290.com is the first IRS certified and verified service provider to safely efile IRS Tax Form 2290 online. We are an entirely web-based provider to efile IRS Tax Form 2290 online. We provide 24/7 customer service through email and chat. Efile IRS Tax Form 2290 online and get your IRS tax Form 2290 schedule 1 copy with a watermark stamped within minutes. Get started now with us and Tax2290.com will guide you through the process to efile IRS Tax Form 2290 online. We are here to help if you have any questions regarding efiling IRS Tax Form 2290 online.